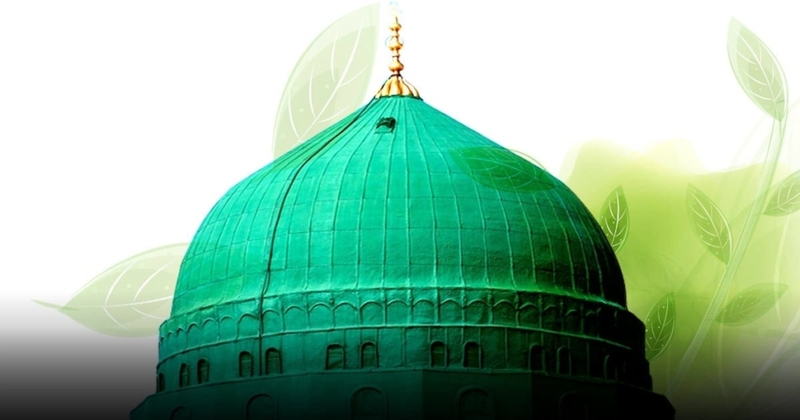 What was it about the city of Madinah that the Prophet Muhammed loved so much? Shaykh Faid Mohammed Said sheds some light. Allah (subhana wa ta’ala) has blessed everything with the Baraka and Nur of Rasulullah ﷺ, but from places, there is one city, one place, one piece of land that whenever we go back to it we become lost in its aja’ib (wonders): Madinah! Maybe it is because Rasulullah ﷺ make dua for Madinah more than double that of Ibrahim (alaih salam) for Makkah. But why did Rasulullah ﷺ love Madinah? Rasulullah ﷺ loved its people, its land, its sand and its fruits; but why Madinah? Why did Rasulullah ﷺ make the sign of iman connected to loving the Ansar (the people of Madinah), and one of the biggest signs of nifaq (hypocrisy) in disliking or hating them? Why did Rasulullah ﷺ threaten anyone who targets Madinah with any harm to be dissolved like salt in water? Why did Rasulullah ﷺ curse the one who commits a crime in Madinah or the one who tries any evil design on Madinah or its people? Why did Allah (subhana wa ta’ala) not make another portion of Rawdat-ul Jannah (garden of paradise) for Rasulullah ﷺ in any place other than Madinah? Why did Rasulullah ﷺ tell us that Allah (subhana wa ta’ala) made the ajwa of Madinah (a special date) a protection, shifa’a and cure from sihr (black magic) and poison? Why not any other ajwa? Why? Why did Rasulullahﷺ say that the land and the sand of Madinah isshifa’a? Why did Rasulullahﷺ that even the dust is shifa’a!? Rasulullah ﷺ upon his arrival of Madinah used to uncover his face to the dust of Madinah, as if it were the air-conditioning or freshening agents we enjoy in this time! Why did Allah (subhana wa ta’ala) choose the people of Baqi to be the first to be resurrected? Why did Rasulullahﷺ say that he would be the intercessor for everyone who dies in Madinah? Why did Heﷺ encourage people to die in Madinah? Why does Madinah have more than one-hundred names? It is said that the number of names that something possesses is a sign of its greatness! Why did Rasulullahﷺ stay in Makkah for thirteen years and a numbered set of people became Muslim, but when he went to Madinah, the people of Madinah received him and believed in him? Why did Rasulullahﷺ say during the Battle of Hunan to Syedina Abbas (radiallah anhu) to call the Ansar, His Family, and the people of Bayt-ul Ridwan? Why did Rasulullahﷺ call the Ansar? Why did Rasulullahﷺ say that if everyone was to go one direction and the Ansar were to take a different direction that He would take the direction of the Ansar? Why? Why did Rasulullahﷺ say to the Ansar that should it not make you happy that others live with money, camels and sheep, but your life is with Rasulullahﷺ? Why did Rasulullahﷺ say that Uhud is a mountain that He loves and Uhud loves Him? Why Uhud and why not any other mountain? Whenever we visit Madinah, we do not want to leave! Every corner of every part of Madinah has attached with it emotions, feelings and things that can be seen that no one can imagine or dare describe. In Madinah, you cry, read, smile and you even forget to rest! Maybe because all of the barakat that was given to this City, and it is suffices that Rasulullahﷺcalled this city “Al Madinah”, “the City!” When Rasulullahﷺ called it “the City” then that means after that there is no city other than Al Madinah, and that indeed that is the real city. Al Madinah is a direction. When Madinah is mentioned, the heart of the mu’min flutters to this City. Al Madinah is also “Munawarah”. For the people that Allah (subhana wa ta’ala) has opened the Nur for, they see this City belit! Zaid ibn Thabit (radiallah anhu) said that when Rasulullahﷺ came to Madinah, every corner end every street became Nur, and when he departed, everything became dark. These are the people that do not see except with the eyes of Nur and baseera(insight). Allah (subhana wa ta’ala) said in Surah Al-Hajj (46): “Indeed it is not the sight that goes blind, but rather it is the heart that goes blind.” Zaid ibn Thabit (radiallah anhu) is telling us that the people of Madinah were the people who saw Nur, in each and every corner what they saw was Nur! May Allah (subhana wa ta’ala) make us from the people of Madinah, end our life in Madinah, and may He make us from the people of Baqi, from the people of the Rawdah, from the people of Uhud and the Shuhudah of Uhud. May Allah (subhana wa ta’ala) fill us with the love of Rasulullah (sallallahu alayhi wasalam), the Ansar, the Muhajireen, the Ahlul Bayt, the Sahaba and all the Saliheen. May Allah (subhana wa ta’ala) make this a year of Rahma and hidayah (guidance). What Does the Latecomer Say During the Imam's Final Sitting? Are My Prayers Invalid While I Am Paying Interests?